I feel like I haven't done a proper NOTD post on here in ages purely due to the fact that I'm onto my 5th week now of the Nail Envy programme in an attempt to sort my nails out. However I've come across this old NOTD which I haven't gotten around to post about. You will have seen this polish mentioned briefly in an OPI/Sally's haul, and since then this has been one of my go to colours to wear on my toes for nights out. 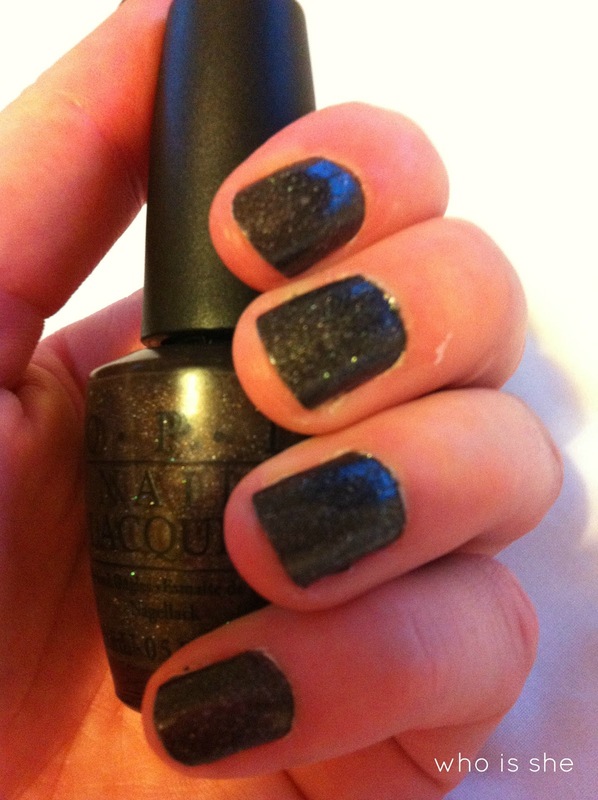 Its hard to describe the colour of My Private Jet however it is one of those cult OPI shades which everyone raves about- personally I would say its more of a browny/black with glitter. However like with the majority of glitter polishes My Private Jet isn't gritty/clumpy, it applies and drys smoothly on your nails. If all glitter nail polishes were like this I'd definately be more of a fan. On my toes this polish can last a good week before I need to change it, however my nails as you can see from the pictures above my nails tell a different story. Personally when wearing this polish I never wear a top coat as I feel like Seche Vite dulls the sparkle, however I think the lack of topcoat is which lets this polish down. As always I applied two coats of polish on the Saturday morning and this was my nails by the Tuesday. 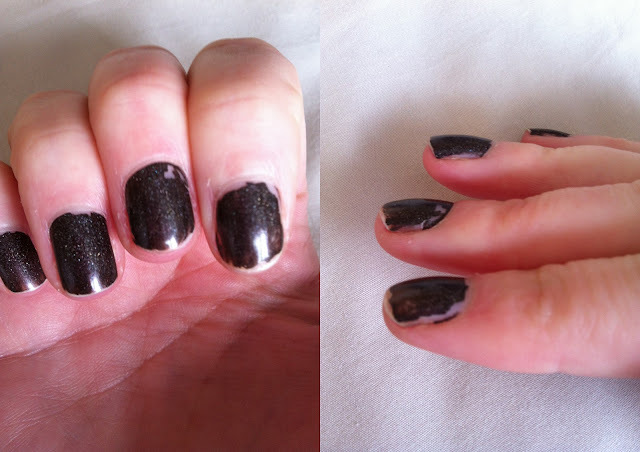 Normally I would expect my nails to look like this on the Friday after a full week of work. Regardless I am in love with the shade, however its been neglected until A/W as I'm currently obsessing over the bright shades which Essie do. I paid about £5-6 for this with my cousins discount card, however if you shop around on eBay you will find it cheaper. Have you ever had this problem with My Private Jet? What topcoat do you use?